MAC/SAN artistic leading team including: Candelario and Aurélie Sampeur (Cuba), Stefan Shankland (France), Erik Göngrich and all artists participating in MAC/SAN. 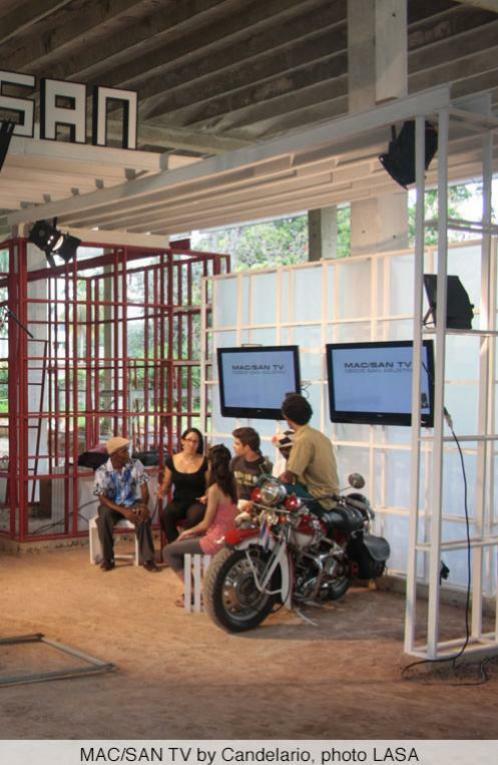 MAC/SAN (Museo de arte contemporàneo de San Agustin), featured during the 11th biennial of Havana (2012). 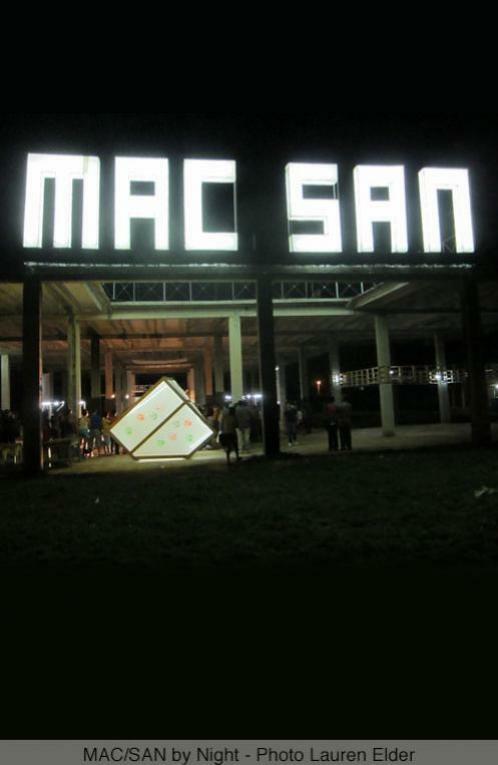 The project MAC/SAN is a prototype dedicated to contemporary art practices in the public realm, a two-week ephemeral museum that featured 11 site-specific artworks and projects—most of them participatory—by Cuban and international artists. The publication aims to convey the scope of the project, from the perspective of artists and participants, as well as invite scholars to reflect on the experimental form of the project and its potential for local impacts. 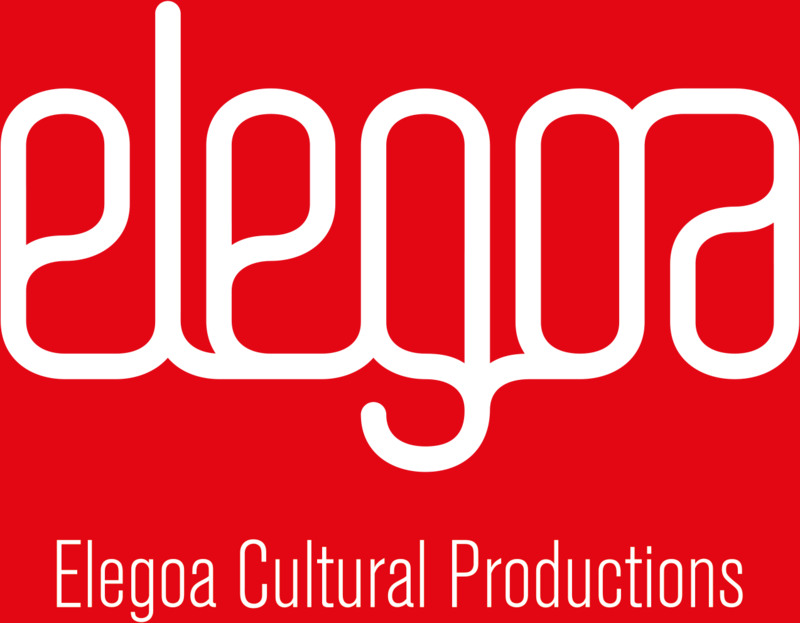 MAC/SAN was co-produced by LASA (Laboratorio Artistico de San Agustin, Havana, Cuba) run by Candelario and Aurelie Sampeur and Elegoa (formerly Off the Edge) with the contribution of local and international funding. MAC/SAN was co-curated by Aurelie Sampeur (LASA) and Catherine Sicot (Elegoa). Video Credits: "MAC/SAN de la Habana", video documentary by Aleida Pinero Meneses and William Capote Elizardy, produced by LASA, compiling Cuban national TV biennial news and LASA's archive. 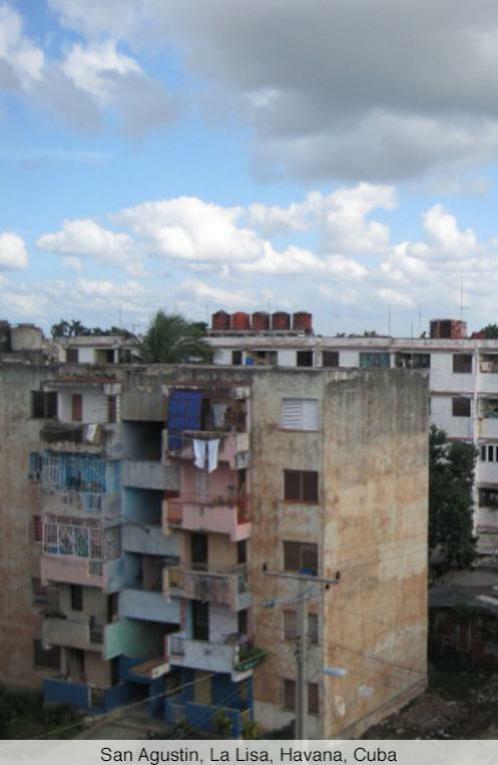 MAC/SAN was set in a western suburb of Havana: the neighbourhood of San Agustin in La Lisa, Cuba. San Agustín is a 4 km2 neighbourhood in the periphery of Havana with more than 37,000 inhabitants. Built on fruit farms before the 50s, it became San Agustín, a residential area for mostly white middle class residents between 1952 and 1954. In the ’60s, San Agustín saw major changes: extended to the nearest neighbourhood, Ermita, it doubled its area and its population dramatically increased. Since 2007, San Agustín has seen a new wave of expansion, which will continue in the coming years with the construction of hundreds of apartment building and the introduction of many services. This area of development—threatening a large organoponico (government-run urban organic garden)—is meant to become the new downtown of San Agustín. 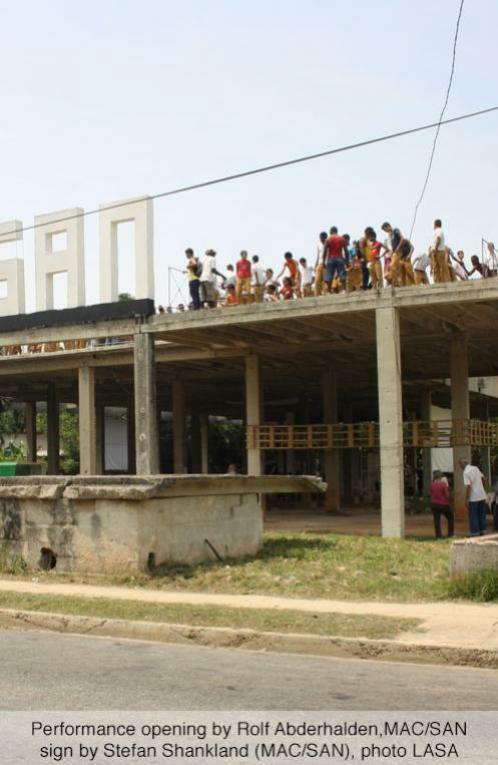 MAC/SAN explores various possibilities of interactions between artistic practices and the public sphere of San Agustín, in the transitioning Cuban social, political, and economic context of the spring of 2012. The various actions that took place within MAC/SAN have caused new local debates on local and global subjects to reach the general public, in ways unseen before in Cuba. Eleven art works and artistic projects were realized or implemented, many of them involving the participation of the residents of San Agustín and students from Havana. The issue of sustainable development informed these explorations, taking into account and measuring the current trends of Cuban society and anticipating its evolution. The propositions made by the artists, who came from Cuba, Europe, North America, and South America, generated a wide range of formal approaches and perspectives in terms of architecture, urbanism, heritage (art, gastronomy, alternative medicine), environment, and economy. The publication aims at an international diffusion of the project and at collecting the critical opinions of artists, art theoreticians from the western world, Caribbean, Latin America, and of participants from San Agustín and the rest of Cuba. The goal is provide thorough descriptions and analysis of the 11 actions taken within MAC/SAN and to contribute to a critical dialogue on artistic practices in the public sphere. Please refer to MAC/SAN blog for project partners and co-funders.